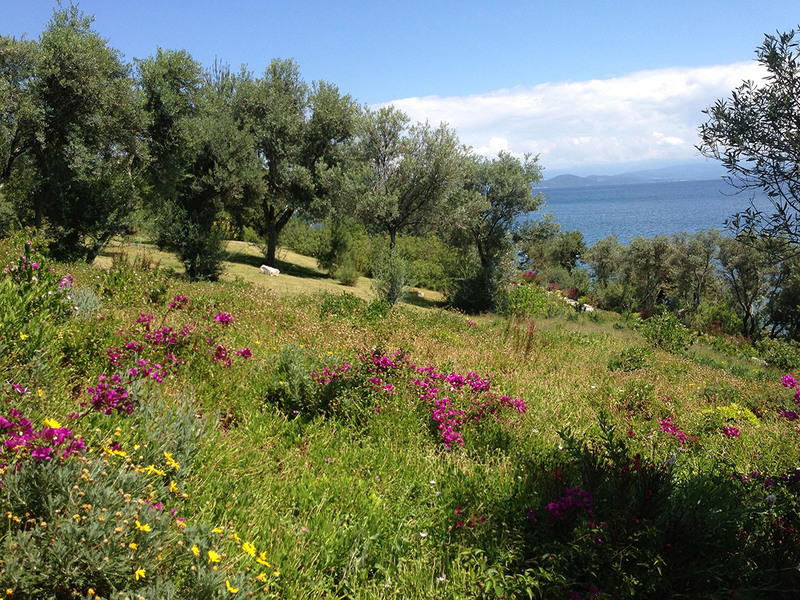 Sometimes, when we’re very lucky, a site doesn’t need much encouragement; the landscape is already steeped in natural beauty. 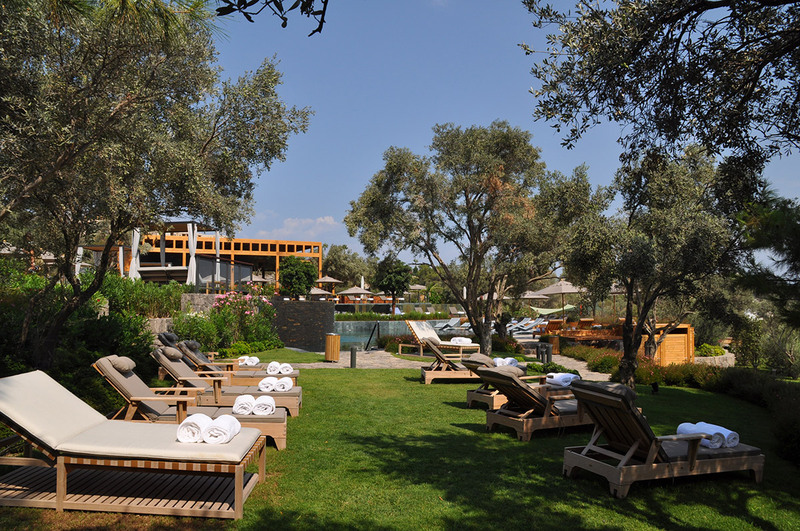 This is the reason people will come. 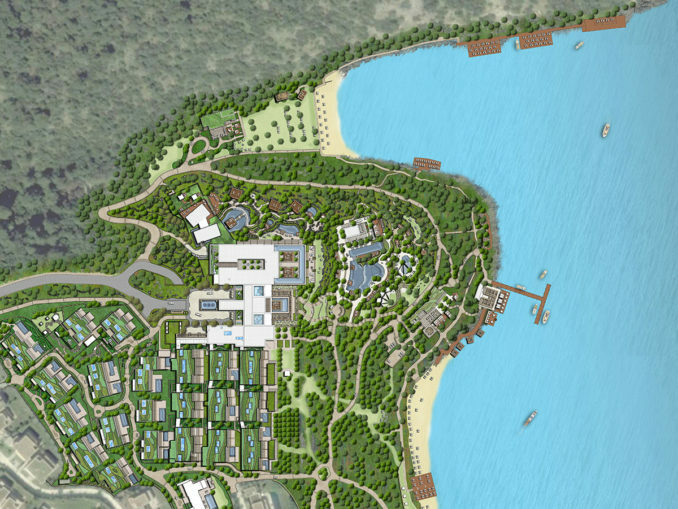 Using this fragile state to create an immersive resort experience is where the weight of responsibility lies. 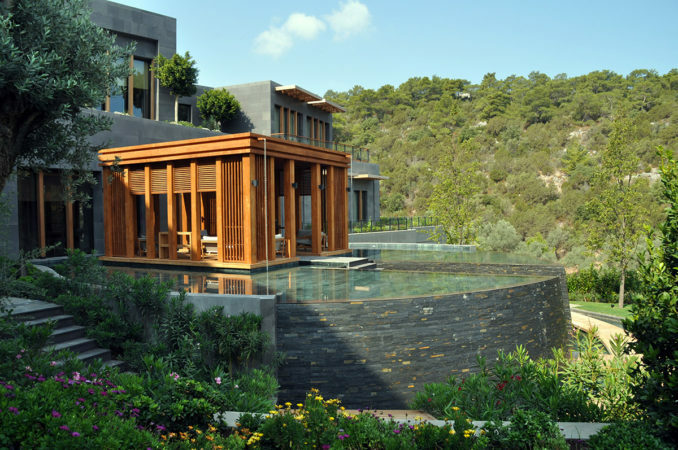 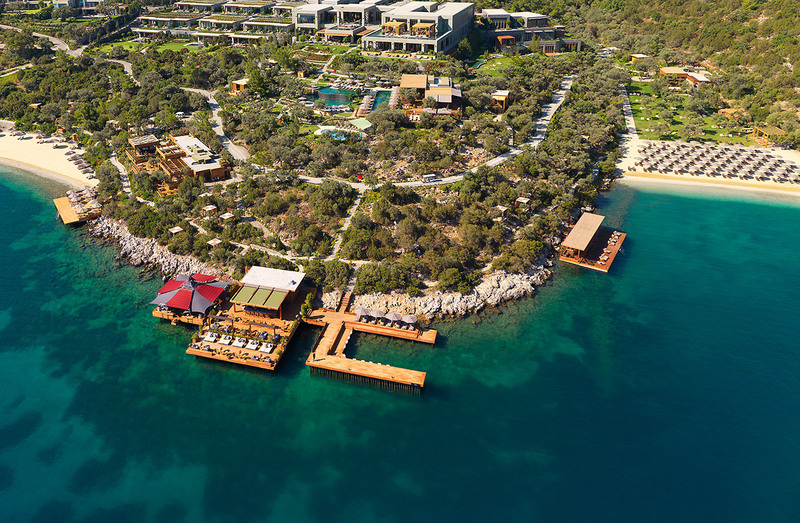 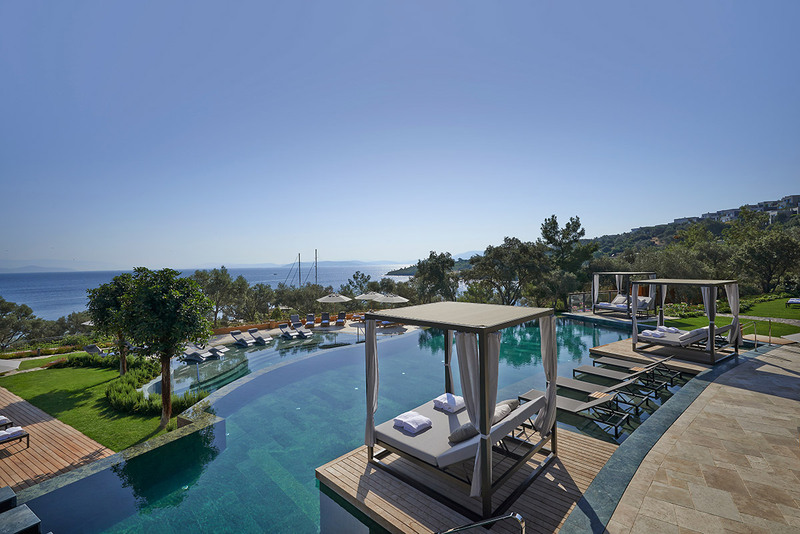 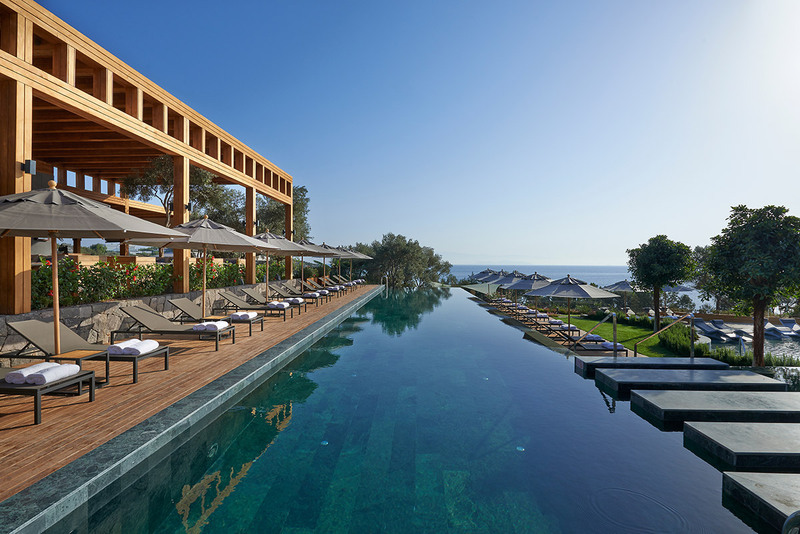 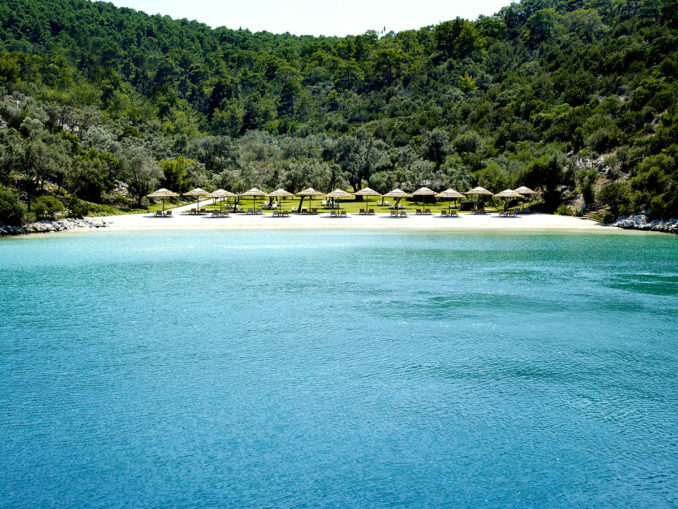 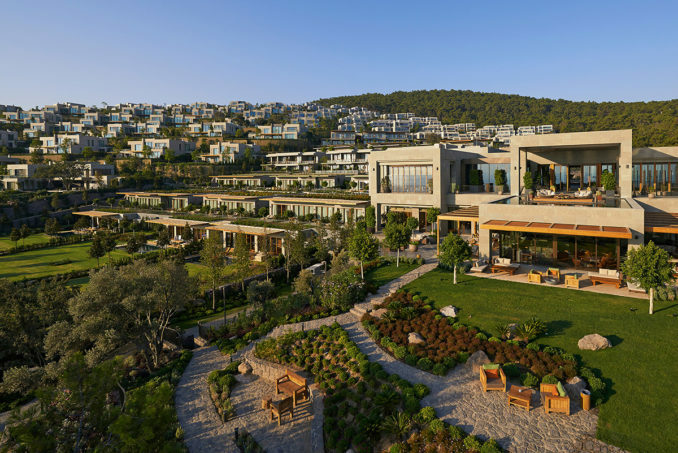 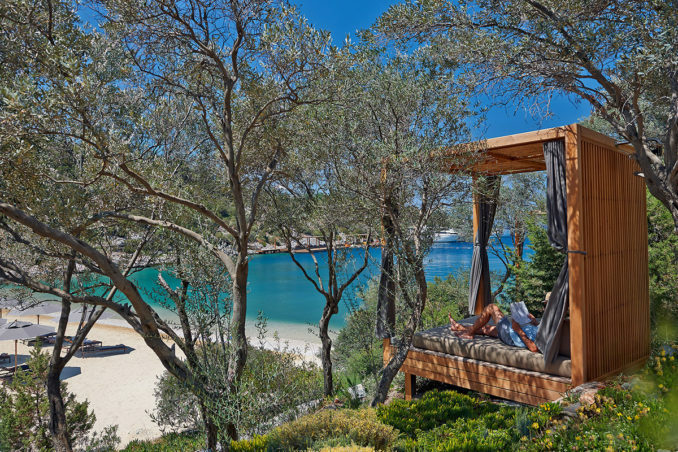 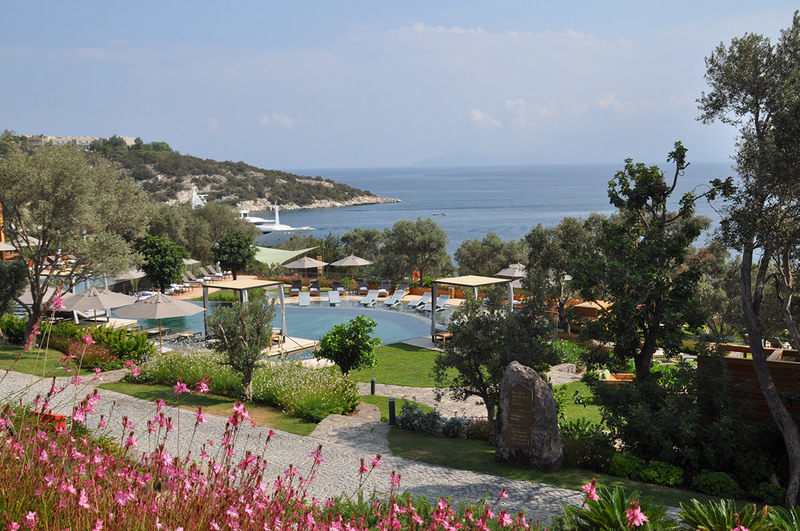 Mandarin Oriental, Bodrum is located on a waterfront site on the northern side of the Turkish peninsula offering panoramic views over the Aegean and built over a series of levels nestled in the resort’s natural landscaped hillside, surrounded by ancient olive groves and pine trees. 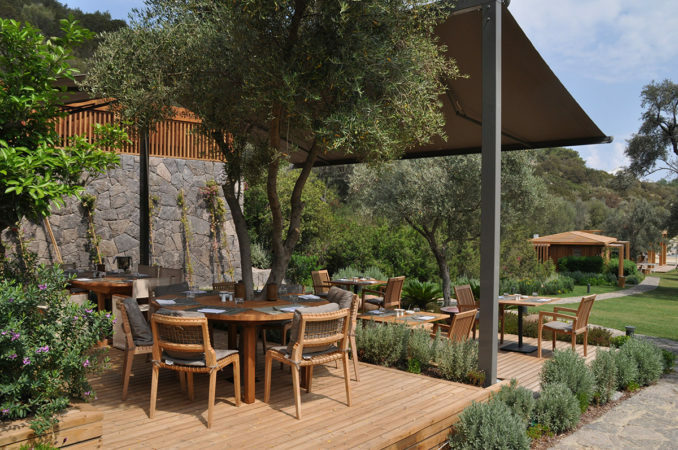 Our vision was to create a seamless connection between the architecture and landscape that echoes the indigenous ‘mosaic habitat’ and charts the romantic journey from Mediterranean pine forest and the garrigue shrubland, to olive groves and savanna. 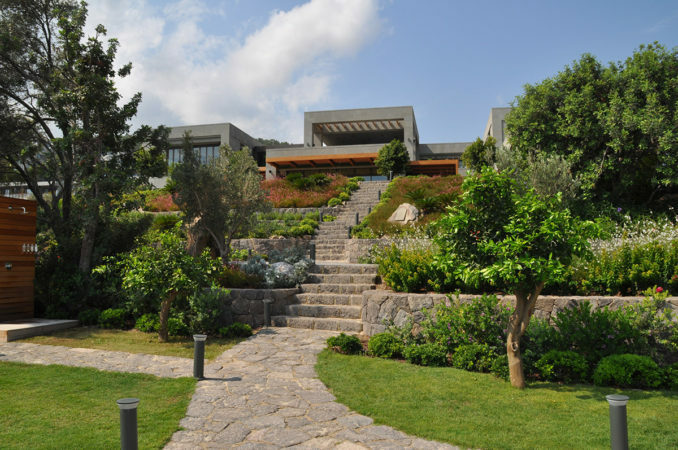 This narrative was realised in a sequential experience, with destinations and vistas unfolding on a series of terraces and through pathways winding gracefully down the hillside. 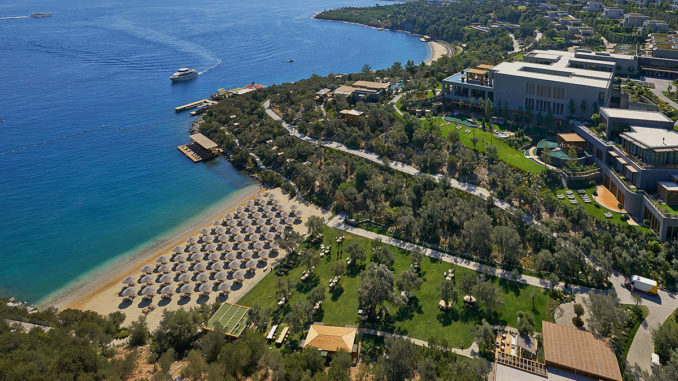 In amongst this was the creation and siting of the main public landscape facilities of the resort, from arrival court to feature stepped swimming pools and spa gardens as well as external terraces to main restaurants and individual guest blocks, many with private gardens and pools. The client was supportive in enabling our planting selection to be tailored to local availability and native stock, minimising long-distance transportation, import, future irrigation and cost. 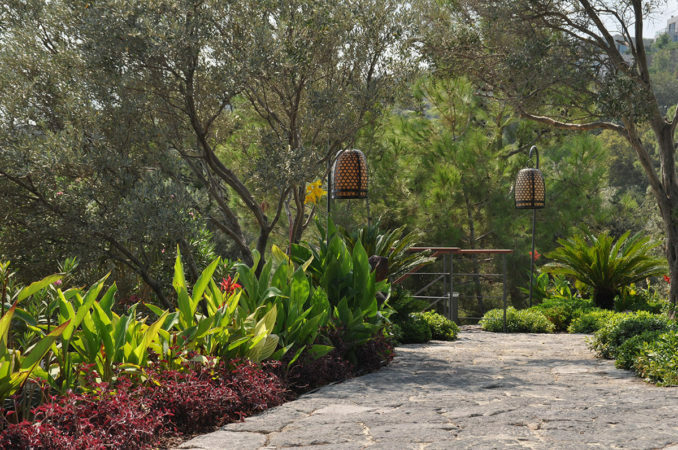 An important part of our planting procurement strategy was an on-site nursery, set up at the start of the construction period, allowing juvenile plants to acclimatise and benefit from two seasons of growth. 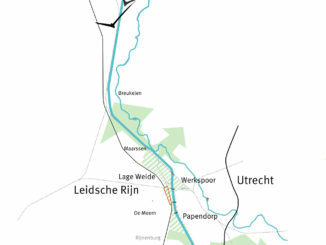 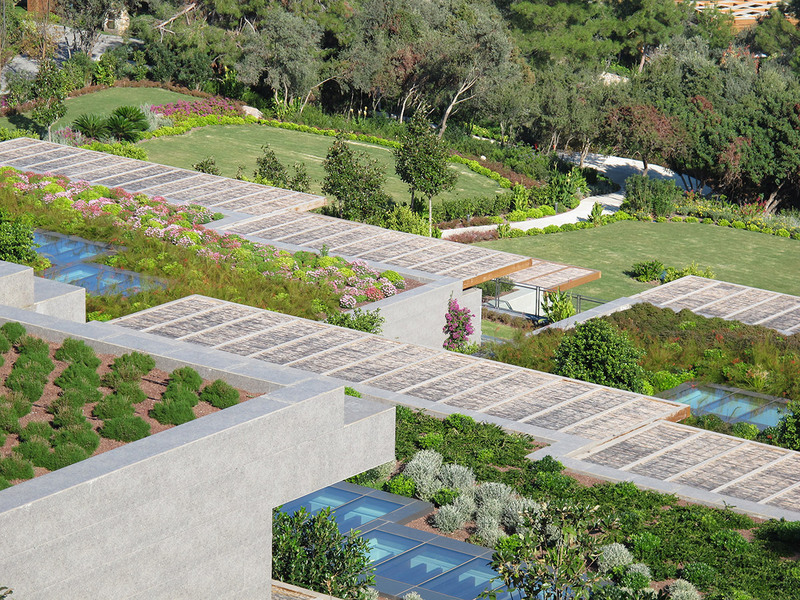 A significant number of trees within the landscape construction area were retained and integrated into the scheme. 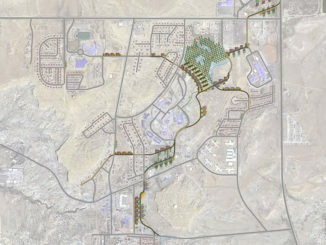 Mature olive trees removed during construction were held on-site and reinstated within the design. 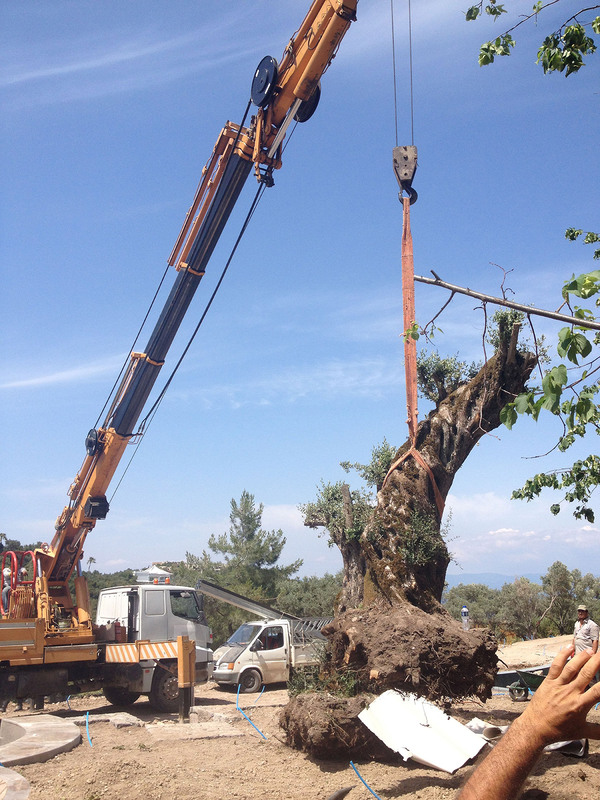 The natural soil of the site was stored and used for planting, minimising import. 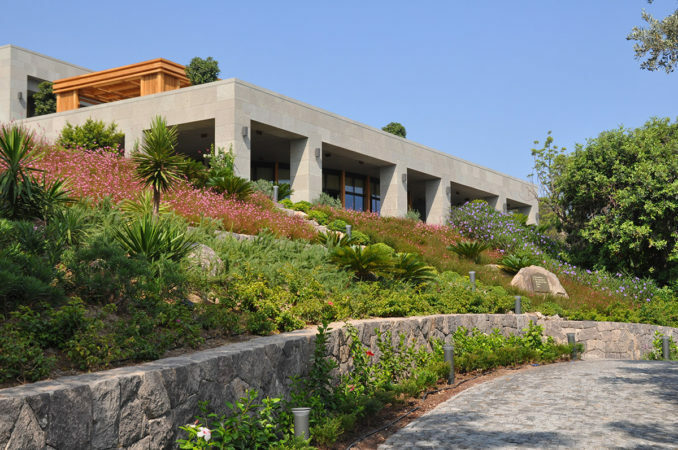 Roof Gardens with shallow rooting native planting were established throughout the resort villas, helping not just to blend the resort visually into the hillside but also to increase energy efficiency by reducing summer heat impact and improve thermal insulation. The ultimate aim was to create a landscape that appears to have been in place for 100’s of years as if the architectural elements had been carved out through periods of time like an old settlement on the shores of the sea. Swathes of colourful, scented wildflower plants have been planted across lower slopes of the resort in naturalistic groupings to create a modern-day Mediterranean paradise. 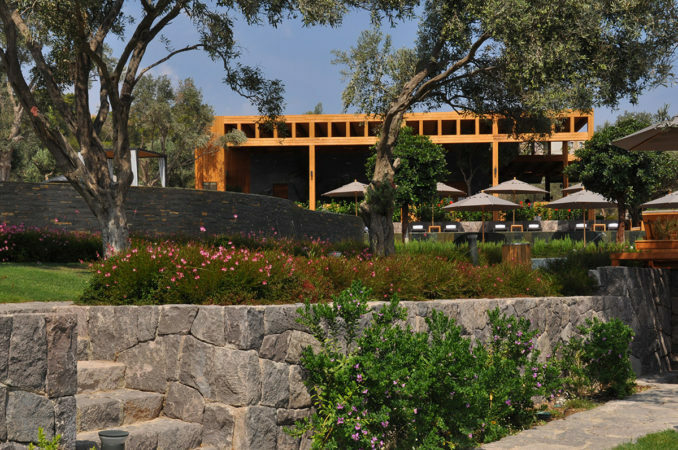 The client’s commitment to creating a naturalistic day one setting also reflected in the landscape finishes with use of local stone throughout, creating a timeless resort of unrivalled quality. 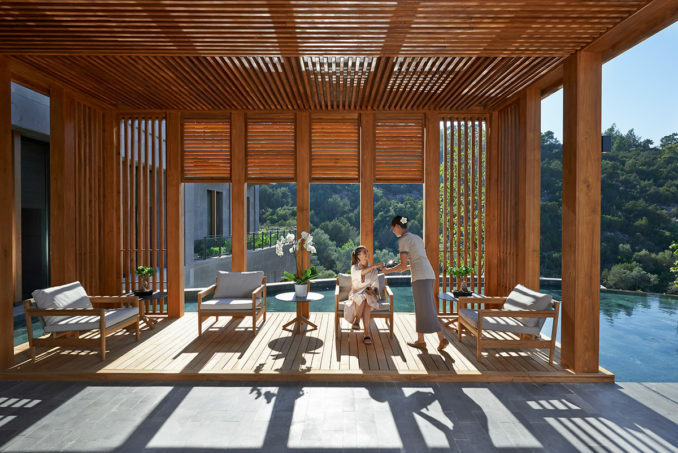 At the forefront was a commitment to meet the corporate responsibilities of Mandarin Oriental; managing environmental impact and providing a positive contribution to the local community. 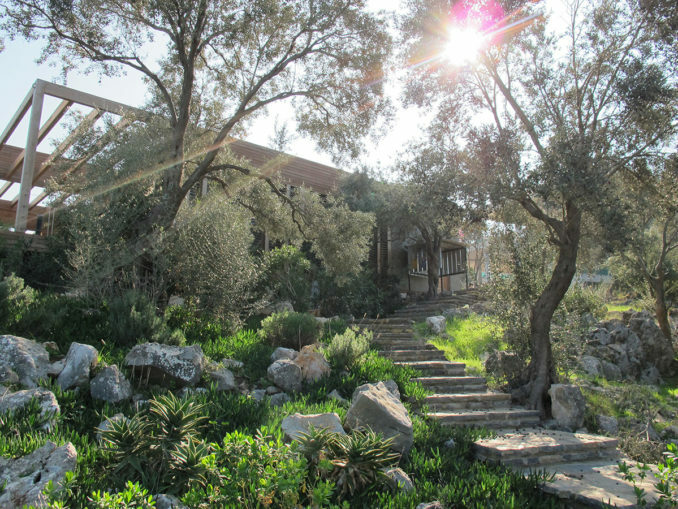 One of our guiding principles was building meaningful relationships, not just with people but in understanding the location and its relationship with the development. 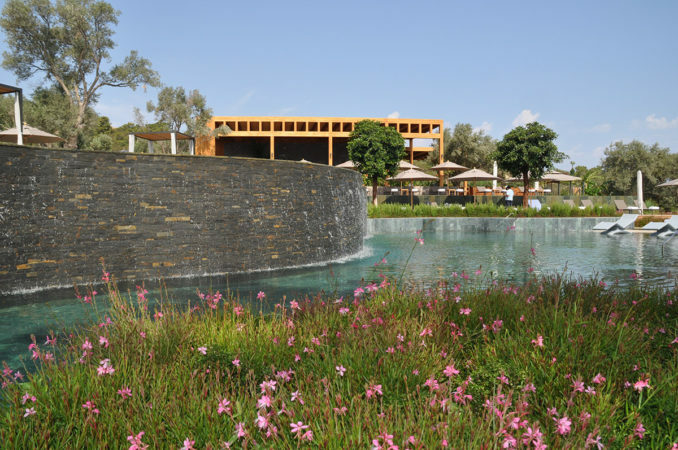 What we can mutually offer in craft, skills, materials and opportunities underpins our design development and the ultimate impact this has on the regional community. 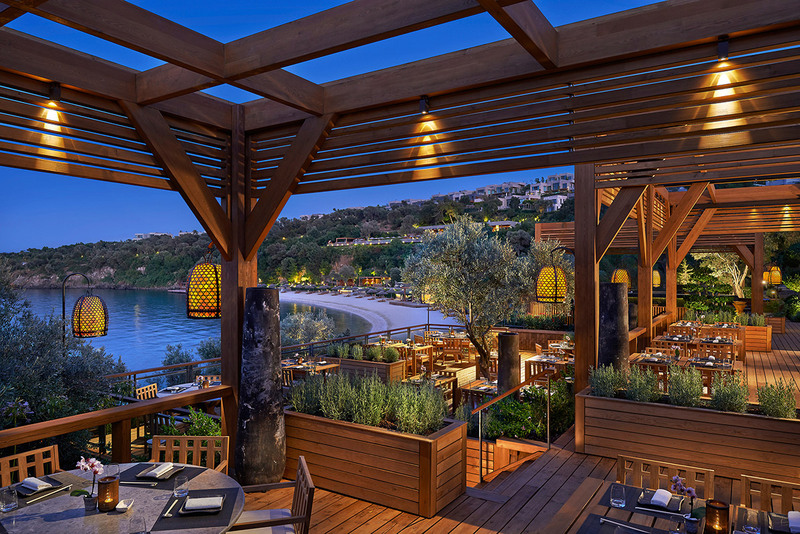 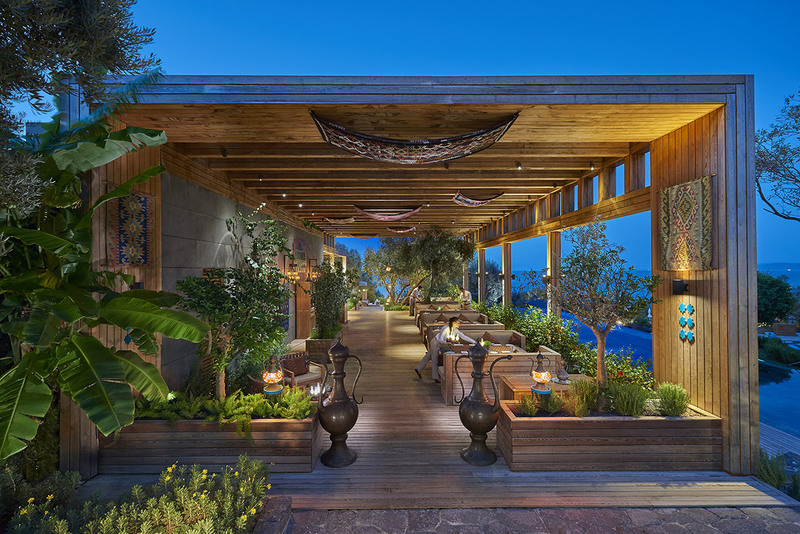 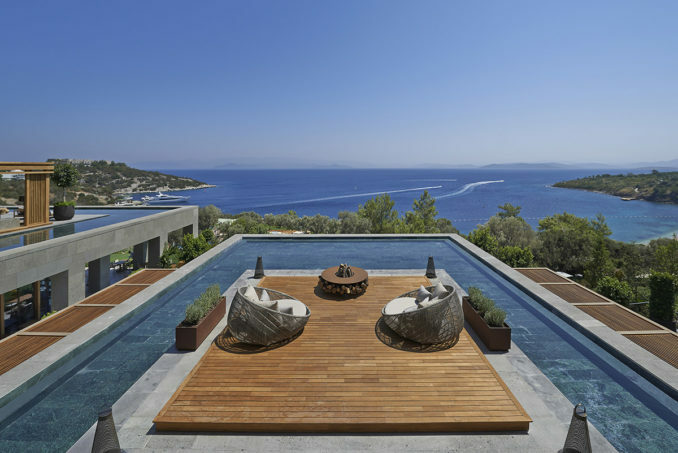 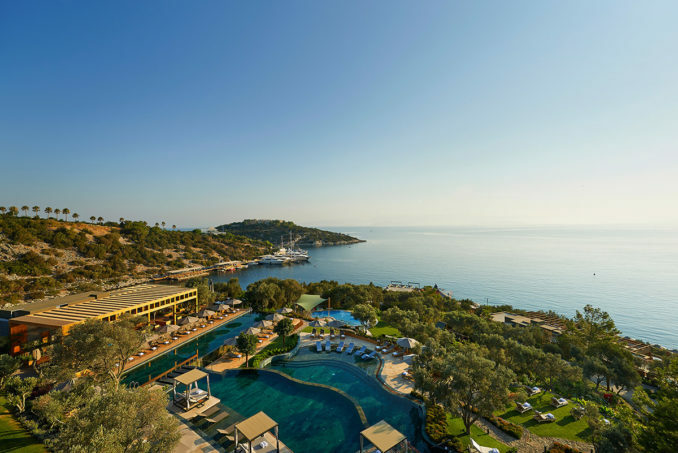 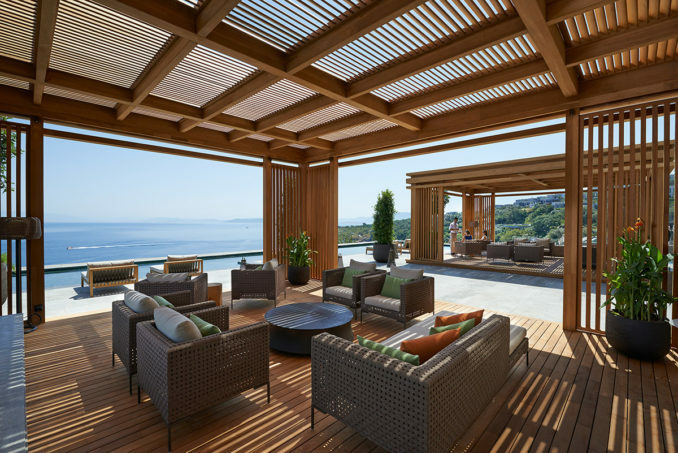 Mandarin Oriental, Bodrum, the brand’s first resort in Europe is located on a waterfront site on the northern side of the Turkish peninsula offering panoramic views over the Aegean Sea. 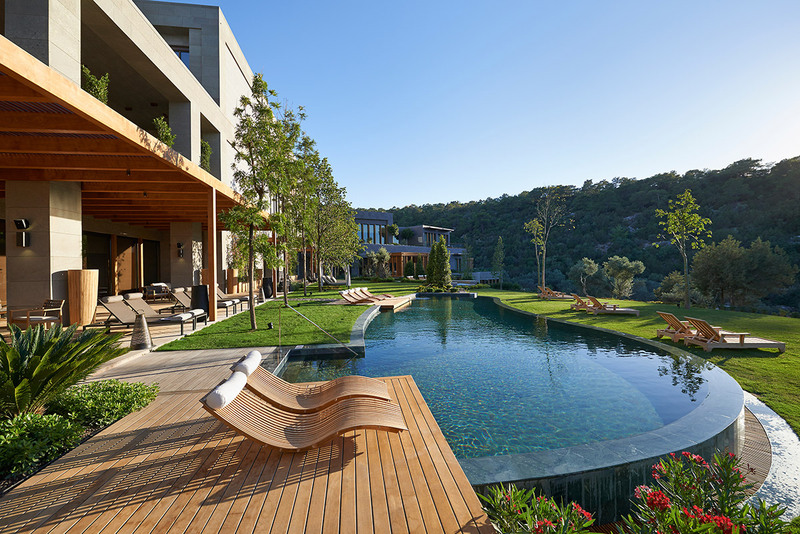 Built over a series of levels nestled in the resort’s natural landscaped hillside, surrounded by ancient olive groves and pine trees, the resort’s 109 luxurious guestrooms and suites provide the largest accommodation in the area, all with stunning sun-decks, terraces or balconies, and many with private gardens and infinity edged pools. Ten restaurants and bars showcase innovative and gastronomic cuisine, while the 2.700 sqm Spa introduces the Group’s awarding-winning spa concepts together with holistic signature treatments and a range of wellness programmes. 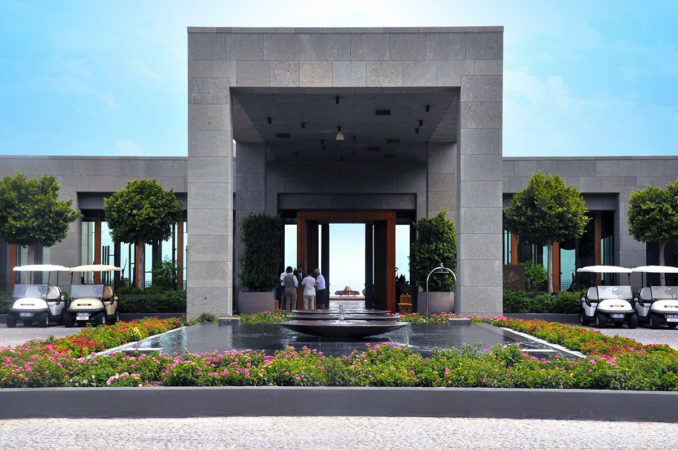 In addition, the diverse event spaces, two sandy beaches and extensive leisure facilities will bring a level of sophistication and elegance, making this the perfect luxurious hideaway retreat for discerning travellers. Scape’s role was to seamlessly blend the hotel architecture into the natural mature existing forest landscape to provide a look and feel as if the architecture had been there for years. In amongst this Scape’s role was the creation and siting of the main public landscape facilities of the resort, from arrival court to feature stepped swimming pools and spa gardens as well as the external terraces to the main restaurants, many of which have been located as individual facilities within the landscape. 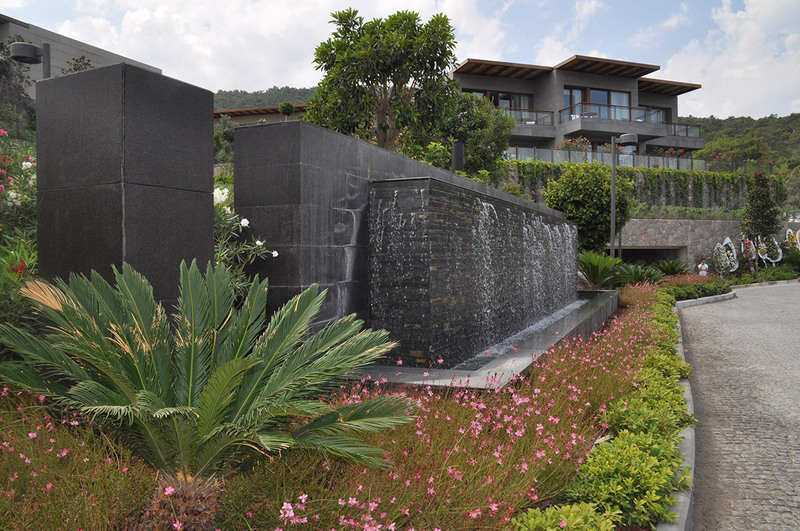 Scape was also responsible for the landscape to all the individual guest blocks, many with their own private gardens and pools. In creating this resort, more than 500 semi-mature trees where purchased from nurseries in Italy and Turkey and 100’s of thousands of native Mediterranean plants all due to the client’s high commitment to creating a naturalistic day one setting. 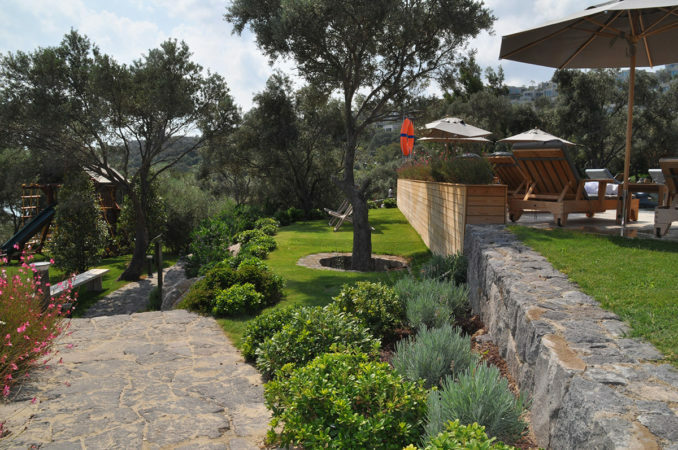 In turn, this also related to all the landscape finishes with use of natural stone and wooden decks throughout the landscape, creating a timeless resort of unrivalled quality on the Mediterranean.